The services involved in yard clean-up are dependent on the season. For spring clean-ups, the focus is on removing debris that has accumulated over the winter, removing mulch and other insulation that may have been placed around tender plants, applying fertilizers to boost spring growth, and performing any pruning tasks that plants require to help them prepare for the growth to come. There are other tasks that can be added such as planting spring bulbs, thinning crowded garden beds to prevent diseases that crop up during summer, dividing certain perennials and transplanting. 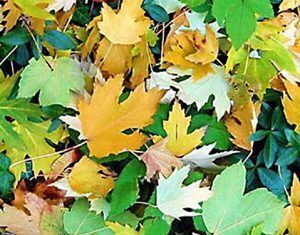 For fall clean-ups the focus will be on performing the tasks involved in putting your garden “to bed” for the winter. This usually includes raking leaves and pine needles and disposing of them, removing any dead or diseased plants to prevent a recurrence in spring, discouraging an environment for invasive insects that go to ground in winter, amending the soil if necessary, adding mulch or other insulation materials around sensitive plants and shrubs, and performing any fall pruning before winter. Hoffman’s Lawn & Fertilization offers a wide range of services that depend on the conditions of your lawn, the plants in your garden, and the desired outcome. We strongly recommend regular maintenance to keep your yard in top shape after a clean-up. Contact us for a free estimate that is individualized for the specific needs of your lawn & landscape. 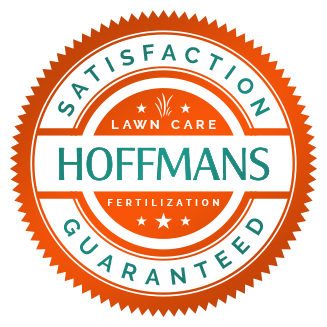 We look forward to helping you get, and keep, the lush green lawn you have always wanted.